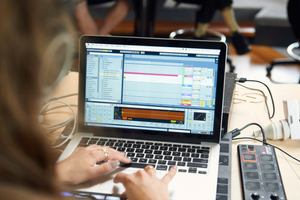 These gift certificates are a open-dated pass to learn music production from Australia's leading music producers and Ableton Certified Trainers at our Ableton specialised training studio based in the heart of Sydney. All Liveschool gift vouchers are transferable as credit for any course or for one-to-one training. All courses are taught using Ableton Live and no prior skills or equipment are necessary. This session provides a solid foundation in operating, understanding and working with Ableton Live and supplies the pre-requisite knowledge for all other Liveschool courses. This is a 3 hour course that we run regularly throughout the year. For more details about the course click the button below.